What can we do to solve waste problems? 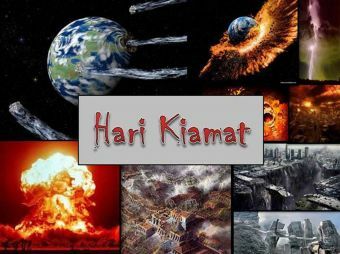 Why do people litter and pollute the earth? In the tuning in activity, the 2nd graders discussed these provoking questions before doing other activities. To assess their prior knowledge, they watched a video about the impact of waste to human and environment. During the finding out activity, they gave their opinions about the video based on the six thinking hats method. 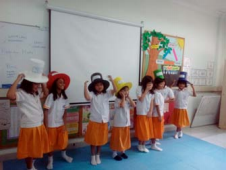 They also showed their perspectives about some cases (example: people throw waste into the sea, people throw the litter on the street) based on the hat they wore and presented it to their classmates. Each student in the group applied their perspectives based on the hat chosen. 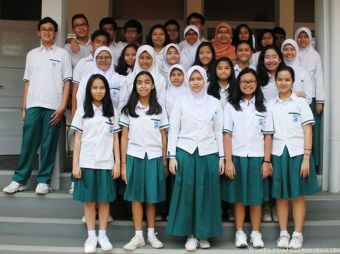 To support the UOI, in Indonesian language class, they learnt about how to care for our environment and the impacts of the waste to our environment through writing their opinions.